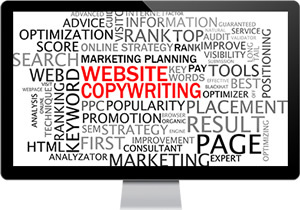 Copywriting is the name given to the task of creating engaging and interesting text that can be used on anything from your business web site to your marketing newsletters. Good text is vital to get your customers interested in what you are selling, make them for comfortable that you are a reputable company and send subtle signals to get them to buy from you. Some people prefer to write their content themselves and just ask us to 'touch it up' to help it flow better or to do a thorough check for spelling and grammar issues. Did you know that poor spelling and grammar puts off 59% of potential customers? Others prefer us to write content for their entire web site either because they are not confident writers or because they are too busy ensuring their business is doing what it is supposed to. If you need help with your copywriting, please get in touch to see how we can help. You can e-mail us from our contact page or call us on 01493 249293.